Playing with Bergere and Mora. 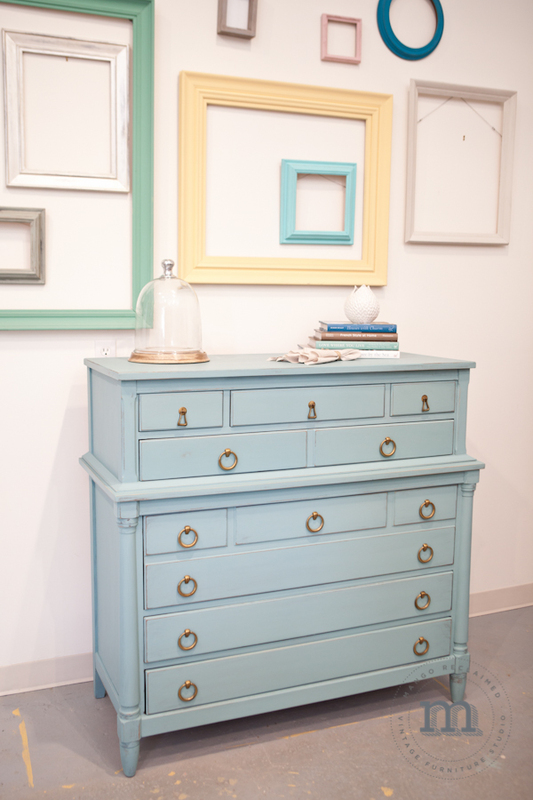 The beautiful new European colours for the Miss Mustard Seed's Milk paint line have arrived! I recently had the privilege of playing with some of the new European colours (before they even hit the shelves)! With the perfect piece in mind for a milk paint project I got to work. Being a 'blue' girl myself, the fist colour I mixed up was of course 'Bergere', a beautiful smokey blue . . .
With a 'thirsty' dresser like this one, I knew the milk paint would go on and adhere beautifully without the need for any bonding agent. Two quick coats of each colour and I was almost done. After painting, I did a thorough overall sand to a smooth finish (as I do with all projects before applying a final protective product) with just a hint of distressing. Then I took some beautiful (and all natural) hemp oil and applied it to the entire piece - inside, outside and all. 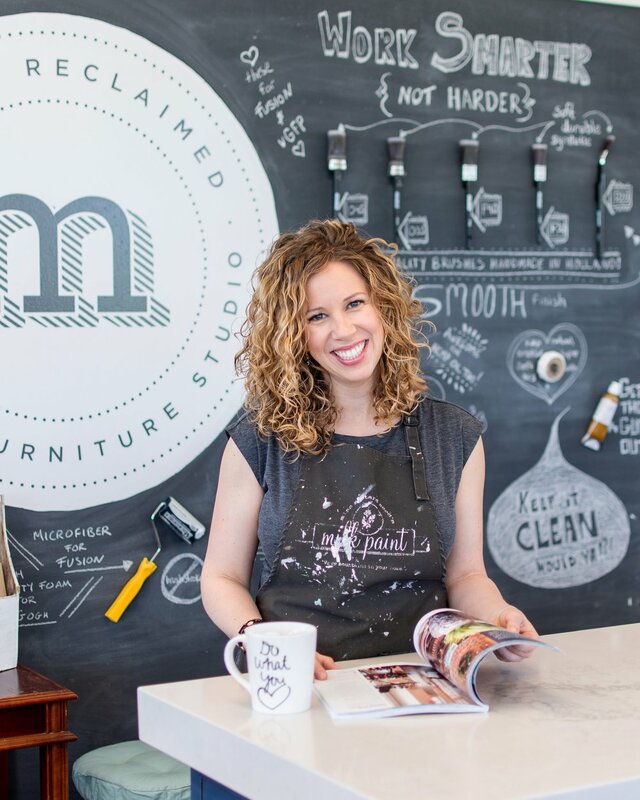 . . the hemp oil adds a protective water-resistant layer to both bare wood or milk painted wood surfaces. This dresser is currently available. Please stop by the studio or e-mail: melanie@mangoreclaimed.com if you are interested in purchasing it. Oh yah, I added some new antiqued brass hardware as well, I think they look perfect against the soft grey 'Mora'. Ooh! And check out the inside - the hemp oil really revived the raw wood - and check out that glorious storage! What do you think? Are you excited to try out the new European colours? 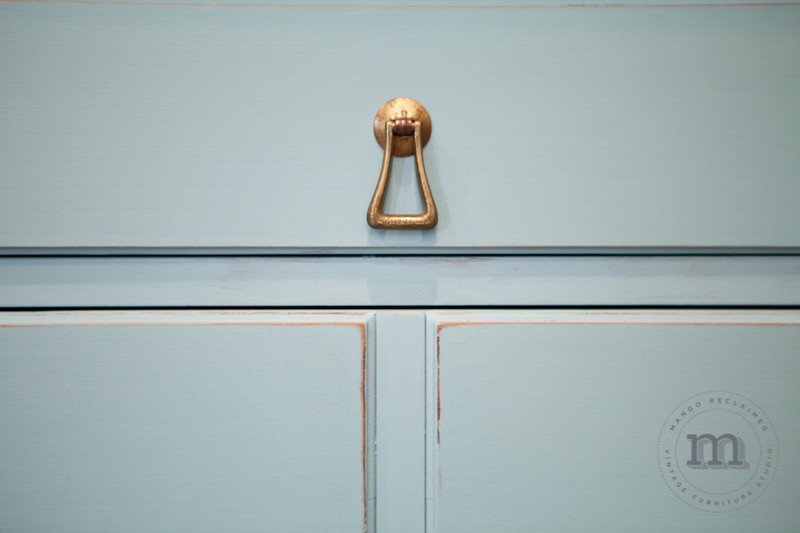 btw: you can find plenty more milk paint inspiration on our Pinterest board here.